Have Hamilton lyrics become part of your daily jargon? Do you find yourself singing the Hamilton soundtrack all day? You're not alone! 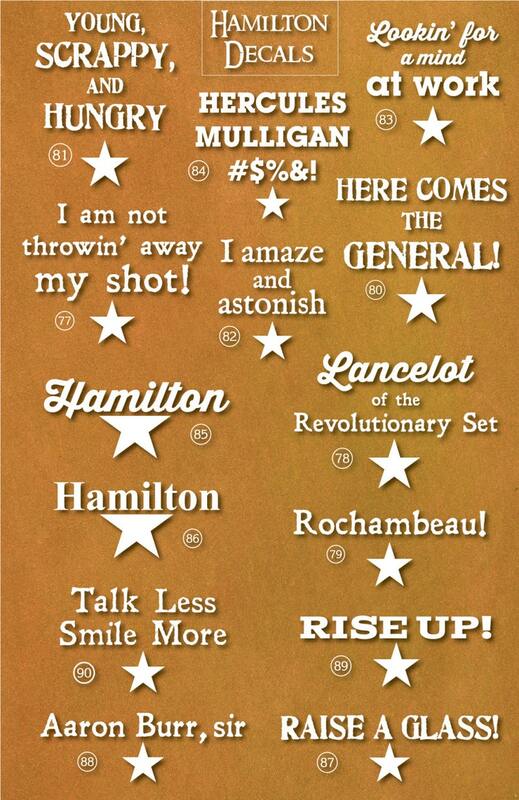 Add a bit of Hamilton to your car, home or work with these Hamilton inspired decals! 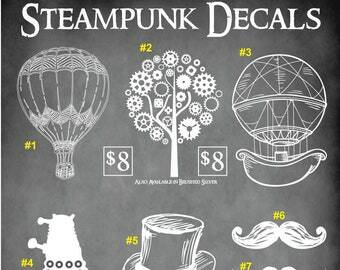 All decals come in White Vinyl. Other colors available for an extra charge. Talk Less: 7.2"H x 4.5W"
All are designed by Forbidden Forest Crafts. I use high grade white vinyl (other colors available for a small fee) and will withstand the elements.